NYU Law Students for Justice in Palestine team members (in no particular order): Gerardo (Captain), Marwa, Ana, Cassarah, Hira, Rachel, Heather, Maya, Anil, Antoinette, Astrid, Eddie, Nora S., Robert, Dinesh, David, Gabriella, Nia, Nora C., and Selene. [NYU Law Students]: Today, after a ten-year blockade and three wars with Israel, Gaza’s population of 2 million are living on four hours of electricity a day. 46% of the population is unemployed, a number that rises to 64% among residents under 25. Gaza’s water, sewage, health and electricity systems are near complete collapse. In “the world’s largest open-air prison,” over half of the residents of Gaza are children. As individuals living in peace and relative prosperity, we can only try to grasp the effects of such a situation on the physical, emotional, and mental well-being of children. To live, the population of Gaza, and its children, in particular, must depend on UNRWA. [President] Trump’s decision to cut nearly $300 million in US funding to UNRWA at this critical moment amounts to a decision to hold the lives and livelihoods of hundreds of thousands of Palestinians ransom. Using humanitarian aid as a bargaining chip is a stance our team finds abhorrent. We are fundraising against desperation and deprivation; first, to show our continuing support and admiration for the residents of Gaza, and second, to act against the latest of an endless series of injustices committed upon the Palestinians during the past 70 years of occupation. [UNRWA USA]: Why is mental health an important issue to you and the rest of your team? [NYU Law Students]: There are no words to describe the emotional burden that comes with living in a war zone—constant uncertainty, constant terror. It is crucial that Palestinian children receive mental health services in order to cope with current stresses and obtain some semblance of normality. This will enable them to maintain a path forward to realizing their potential and the potential of their community. [NYU Law Students]: Thank you for fundraising and we'll see you at the race! Support team NYU Law Students for Justice in Palestine and help make access to mental healthcare a reality for Palestine refugees in the Gaza Strip by donating to their Gaza 5K page! This isn't the first time Team Olive Gaza has run and fundraised for the NYC Gaza 5K, so what brings them back every year? UNRWA USA spoke to team member Yasmin Elachi who enthusiastically gave us her family's unique, heartwarming, and intimate connection with Gaza and UNRWA's work. [Yasmin Elachi]: We're fundraising because many of us are first-generation Americans of Palestinian, and specifically Gazan descent. We're reminded every day that our parents and family struggled growing up as children in Gaza. We're doing it especially for our mom's family, who are refugees from Yaffa (1948). Hearing about their childhood and our mom's stories about how as a child, she recalled the UNRWA food rations her family would collect weekly really became ingrained in our identities. [UNRWA USA]: Why is mental health is an important issue to you and the rest of your team? [Yasmin Elachi]: Many people struggle with mental health -- for a long time, and still for many, it is a taboo issue. Now more than ever, we recognize how someone's mental health can lead to a downward spiral physically, mentally, and emotionally for not only the person struggling with mental health but those around them as well. If we can help children navigate, or at least provide some of the tools, at an early age, we believe it will have an everlasting positive impact on that child's future. Support Team Olive Gaza and access to mental health awareness by donating to their Gaza 5K page! In a recent PBS interview, John Yang sat down with Scott Anderson to discuss the US administration's decision to cut UNRWA funding. You can help fund UNRWA. Donate here. To learn more about Scott, below is an exclusive UNRWA USA interview from October 2017. How did you first get involved with UNRWA? What does your current role entail? My first real interaction with the Israel-Palestine conflict was as a senior in high school. I needed one additional social studies credit to graduate and my teacher, Wanda Phillips, assigned me to write a paper on the conflict with possible solutions. After my retirement from the Army in 2007, I saw a position in the Gaza Field office with UNRWA and applied. I am currently the Director of UNRWA Operations in the West Bank Field. As the Field Director I oversee field operations. It is a busy job, but the real heroes are our nearly 5000 staff on the ground. They are the ones who makes sure that assistance and protection is provided every day to those in need. There are approximately 780,000 registered refugees in the West Bank including East Jerusalem. UNRWA provides a wide range of services to refugees most in need. Our services encompass everything from education, health care, relief and social services, camp infrastructure and improvement, microfinance, and emergency assistance. In the West Bank, UNRWA provides basic education to almost 50,000 students each year in our 96 schools. And in our 42 health centers, we do nearly 1.3 million patient visits a year. How has your work with UNRWA shaped you? UNRWA has provided me a perspective on humanity few others will ever experience. I’ve seen the best and worst of humanity while working in UNRWA. I’ve seen compassion, devotion to a higher cause, survival, overcoming very difficult challenges to help their community, despite facing death, terrorism and, sadly, hatred. However, it has been the positive inter-personal experiences through working with UNRWA that have given me hope that peace is still possible and obtainable. What do you think other Americans should know about Palestine refugees and how would you recommend them getting involved? Every day, Palestine refugees in the West Bank face tremendous challenges related to the occupation: armed violence, military incursions into refugee camps, detentions, settlement expansion, restrictions on access and movement, forced displacement, and demolitions of homes. These are just some of the protection challenges affecting the daily lives of Palestine refugees. But despite living under occupation for the last 50 years, Palestine refugees are just like you and me. They want peace and stability. They want their children to be educated and successful. And they want jobs and possibilities. You can be an advocate for UNRWA and Palestine refugees in your own community. Tell others about the challenges facing Palestine refugees and make them care! You can support UNRWA USA by attending their various events as participant or as a volunteer. And of course, you can make a donation to UNRWA and encourage others to do the same. Can you share a story with us of a Palestine refugee who inspires you? During my years with UNRWA, I have met a lot of inspiring Palestinians – both in Gaza and in the West Bank. Our Palestinian staff who work hard everyday to provide services to their fellow-Palestinians are among these inspiring people. The same can be said about the students in our schools. Despite living a life under occupation, they are all dedicated to learn, grow, develop and become strong representatives of Palestine. One recent example is Amal Shawabka. I met Amal when I had just joined UNRWA in the West Bank Field last year and when she was still attending the UNRWA Fawwar Girls School. Amal grew up in Fawwar refugee camp, which is the southernmost camp in the West Bank. The camp is faced by high levels of unemployment and poverty. The camp and its residents regularly experience Israeli military incursions, camp closures and clashes. To most of us, growing up in such a difficult place would significantly limit our ability to study and learn. But not Amal. Amal was the winner of the 2016 Palestinian Sciences and Technology Entrepreneurship Programme (STEP). As the STEP winner, she travelled to the United States to present her project “No Sliding on Roads”--a pioneering formula to prevent skidding on roads and improve road safety. To me, Amal is a living testament of the potential of the Palestine refugee youth and the dedication of UNRWA teachers in building the base of their future. Email us! Tell us why you care about supporting Palestine refugees. Do you have a story to share? We'd like to know! 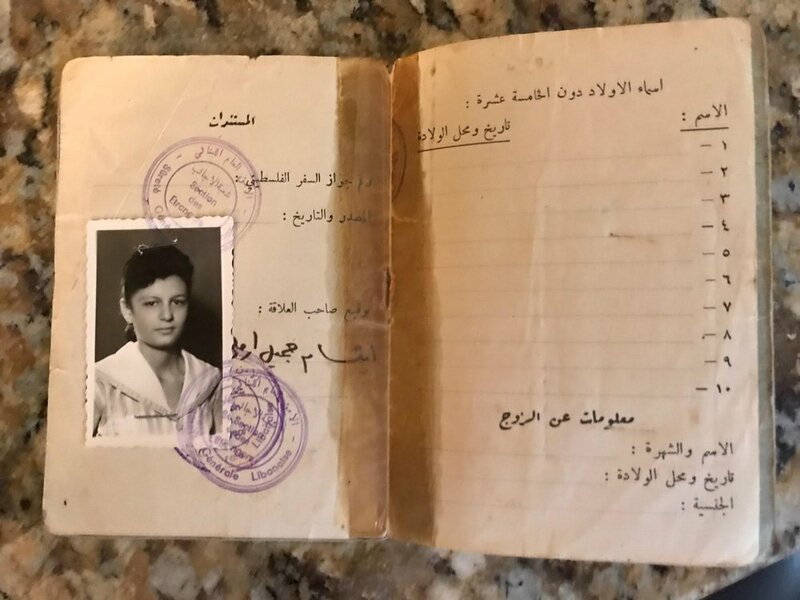 Ibtissam's message to the US administration: "Think of the children and their future"
Ibtissam Rizkallah was born in Shefa Amr, a city east of Haifa in 1944. At the age of 4, the Nakba began. Ibtissam and her family were forced to flee to Lebanon. 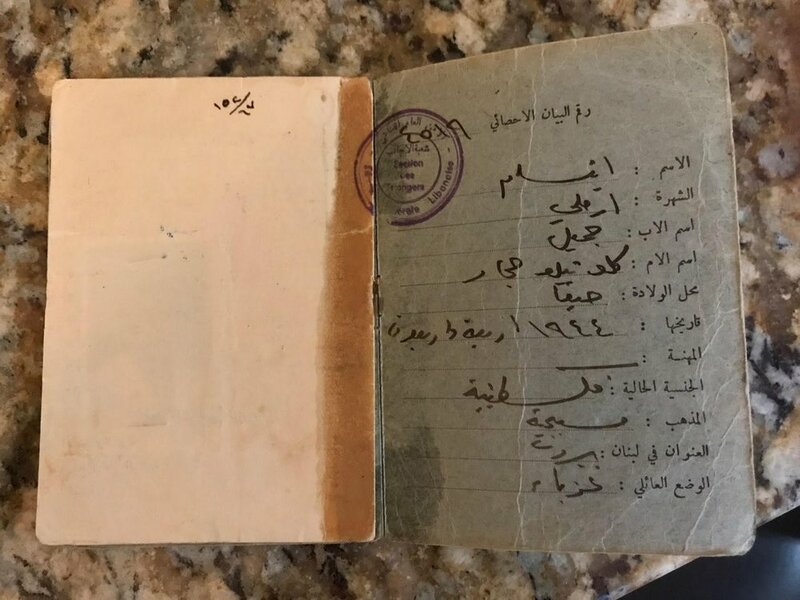 Like many Palestinian families, at the time, they saw this as a temporary way to escape conflict and insecurity -- and thought they would remain in Lebanon for just a few months until it was safe to return home. And like many Palestinian families, this sadly did not turn out to be the case. Ibtissam’s family -- at the time consisting of her three brothers and sisters, her father, and her mother, who was expecting another child -- took their one car and rented a house in Kafr Shima, Lebanon. A few months passed and they realized going home was not a reality in sight. Her father had to sell their car to make ends meet. They relocated to northern Lebanon, where her mother had some family, but moved from one house to the next due to financial difficulties. 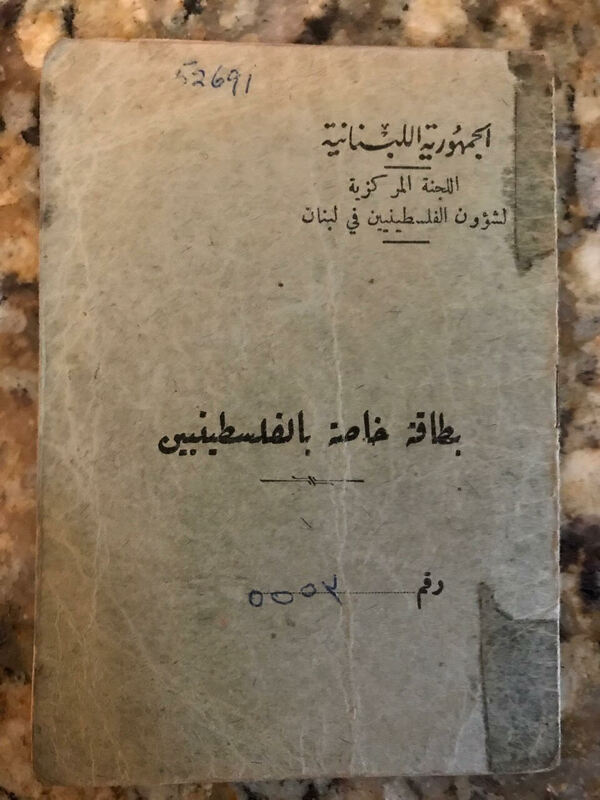 Prior to 1948, Ibtissam’s father and uncle owned a small taxi company in Palestine where they shuttled people from Shefa Amr to Haifa. Due to the labor laws in Lebanon, Ibtissam’s father, as a Palestinian, could not continue his taxi business. He did, however, find employment through the newly established UNRWA, where he worked as a truck driver, transporting flour and foodstuffs to various refugee camps in Lebanon. Her father was not the only one who looked to UNRWA as a pillar of support during a tumultuous time. Ibtissam credits most of her family’s education to UNRWA. Living in Ashrafiyeh in eastern Beirut, Ibtissam and her siblings went to a school run by nuns, where UNRWA funded their tuition. Every one of Ibtissam’s sisters received higher education through UNRWA, whether that was through an UNRWA scholarship at the American University of Beirut or through typing and secretarial courses held at the local YMCA. While her father was working as an UNRWA driver, a Swedish woman named Ms. Kanstron, who was responsible for UNRWA’s education programming at the time, mentioned a reputable nursing program in Gaza, strongly encouraging him to consider enrolling one of his children in the program. When Ibtissam’s father approached Ibtissam’s older sister about it, Ibtissam asserted that if her sister was going to enroll in the program, she wanted to do so, as well. So, in the fall of 1959, the two sisters went to Gaza to begin their three-year training at the Gaza Baptist School of Nursing. UNRWA provided them with a small stipend to supplement their tuition, and they were able to study without worrying about their finances. With some sadness in her voice, Ibtissam says, "Gaza was different back then. The Gazan people were more safe and they did not have the same brutal travel restrictions that they do today. I feel for those people. They have a special place in my heart, and it’s difficult to see their conditions today." Reflecting on her own experiences with UNRWA in the context of the current politicization of refugee rights, she says, "UNRWA is not a political thing -- it's helping the refugees, the children, the women, through health care, through schooling, through everything." It was thanks to her nursing certificate from the program in Gaza that she was able to pursue a career in nursing in the US. Ibtissam married a fellow Palestinian, originally from Ramallah, living in the US. She left Beirut and traveled to live with him in Maryland in December 1967. When she came to the US, she initially chose to take care of the four young children they had together as opposed to working. Once her youngest son turned 5, she learned that in order to work as a nurse in the States all she needed to do was pass an American test and she'd be certified to practice in the US. So that's what she did and Ibtissam started working part-time in 1984. As a busy working mother, she would work evenings so that she could spend time with her family during the day. When her husband passed in 1993, Ibtissam had to work full time to support her family. She credits her UNRWA degree to allowing her to support herself and her children in the absence of her husband’s salary and helping her land her first job in the US. Ibtissam feels grateful for the role UNRWA played in her life -- that despite the heart-wrenching circumstances of being ripped away from her homeland, she and her family had a support system that they could lean on to reach their full potential outside of Palestine. Ruth Tracy and MaryAnn Kerr are the kind of old friends that finish each other's sentences. When speaking to them, you get the sense they are of one mind -- equally driven and focused. Their energy and enthusiasm are that of someone a third of their age. They radiate positivity and passion. And one thing they're both passionate about -- the thing that brought them together -- is the situation of Palestine refugees. Ruth first heard about UNRWA and its work while living in Beirut, Lebanon in 1967. She volunteered with an American women's organization raising funds for women's centers in the camps, specifically in Ein El Hillweh camp near Sidon. Fast forward several years -- Ruth wanted to maintain her connection with Palestine while living in the States and came across various organizations selling Palestinian products abroad. One of these was Canaan Fair Trade. After initially just ordering from Canaan, Ruth began to sell their olive oils to friends, family, and at the local farmer’s market. As to not compete with any other sellers, but rather work with them, Ruth asked the Canaan Fair Trade team if there was anyone else selling their products in the Cleveland area. They immediately mentioned a woman named MaryAnn Kerr. At the same time, Ruth was considering going on an Interfaith Peace Builder's (IFPB) delegation trip to Palestine and wished to connect with someone who had already gone on the trip. IFPB also pointed her to the very same person -- MaryAnn Kerr. It felt like no small coincidence that MaryAnn’s name came up twice in such a short time, so Ruth gave MaryAnn a call, they agreed to meet at a Turkish restaurant, and the rest is history! This was the first of many meetings and coincidences in their longstanding and growing relationship. Quickly, they realized that MaryAnn's husband and Ruth's former husband attended school together in Beirut. These connections made the world feel small, and they wanted to make it even smaller by creating a stronger connection between Palestine and Ohio. Ultimately, with the encouragement from MaryAnn, Ruth made a trip to Palestine during the annual olive harvest and met the folks at Canaan Fair Trade. She said upon meeting them, she instantly felt a lightbulb go off and knew she chose the right way to place her efforts to bring greater awareness of the situation of Palestinians to the average American back home. Inspired, Ruth has been selling Palestinian olive oil in her home state of Ohio through Canaan's interfaith program in the US ever since. Olives, olive oil, and the olive harvest are all synonymous with Palestinian identity, so it is no surprise that MaryAnn and Ruth saw this as a powerful way to connect people to something complex and longstanding (the situation of Palestine refugees) via something simple, delicious, and accessible to the average American (olive oil). All the while, through their sales they've supported Palestinian farmers, and organizations they care deeply about -- Interfaith Peace Builders, Canaan Fair Trade, and UNRWA USA. Ruth comments that "selling Palestinian olive oil is a great opportunity to spread the word about Palestine and speak to customers one on one about UNRWA’s work [...] many people don’t know about [UNRWA's] history and impact in Gaza and Syria." Beginning in 2008, Ruth and MaryAnn worked together to share the proceeds from olive oil sales with UNRWA USA and two other nonprofits working in Palestine. In 2012, they formalized their relationship with UNRWA USA so that 20% of their sales would go directly towards UNRWA programming. Though still dedicated to issues of social justice, in 2015, after years of enthusiastic volunteering, MaryAnn retired to spend more time with her granddaughter. Though she does not sell olive oil alongside Ruth anymore, they continue to be close friends, and she still continues to promote peace through her work with IFPB, among other organizations that work on the issue of Palestine. Check out the Ohio Fair Trade schedule to see when Ruth may be selling Canaan products near you. Please note, the last event of the holiday season is the Women Speak Out Annual Peace Festival and Bazaar at Pilgrim Church, 2582 W. 14th Street, in Cleveland on Saturday, December 9, 2017. If you cannot make the event, anyone living in the Cleveland who wishes to order Canaan products from Ruth, delivered right to your door, can do so by calling (216) 408-6297. If you live outside Ohio, you can buy your own Canaan Fair Trade products online and 10% of your purchase will be donated to UNRWA USA. This week, while most of us are reaching for our stretchy pants, preparing ourselves for a large Thanksgiving meal, UNRWA USA supporter Haneen Sakakini will be packing her hiking pants in preparation to climb Mt. Kilimanjaro, Africa's highest mountain. Apart from being an avid hiker, Haneen is a Palestinian American educator, with specific expertise in the impact that childhood trauma has on the well-being of children and their education. In combining these two sides of herself, she plans on climbing Mt. Kilimanjaro as a way to fundraise and raise awareness for UNRWA's Community Mental Health Programme (CMHP) in the Gaza Strip, and she's calling it Mind Over Mountain. So what brings this young Palestinian American woman to the roof of Africa? Haneen has always loved being outside -- it was a habit that her parents instilled in her through frequent hiking and camping trips growing up. During her two years living in Palestine (2012-2014) teaching at the Ramallah Friends School, she and a group of friends went on regular hiking trips. Most Friday's, they'd select a path in Jericho, pack their bags, eat their fill of manaeesh, and start their journey for the day. Haneen comments on hiking as a therapeutic process: "There is something about being outside in nature that just brings happiness and a sense of serenity, even with all the things happening around you and across the world." Haneen is always up for a challenge, and Mt. Kilimanjaro has been on her bucket list for some time. She says that "it has always been that mountain in the distance that sparked a sense of curiosity for me." When she was given the option to join her company’s Kilimanjaro trek, she jumped at the opportunity. Why the Mind Over Mountain fundraising campaign? As part of the trek, each Kilimanjaro climber is required to fundraise for a cause meaningful to them. 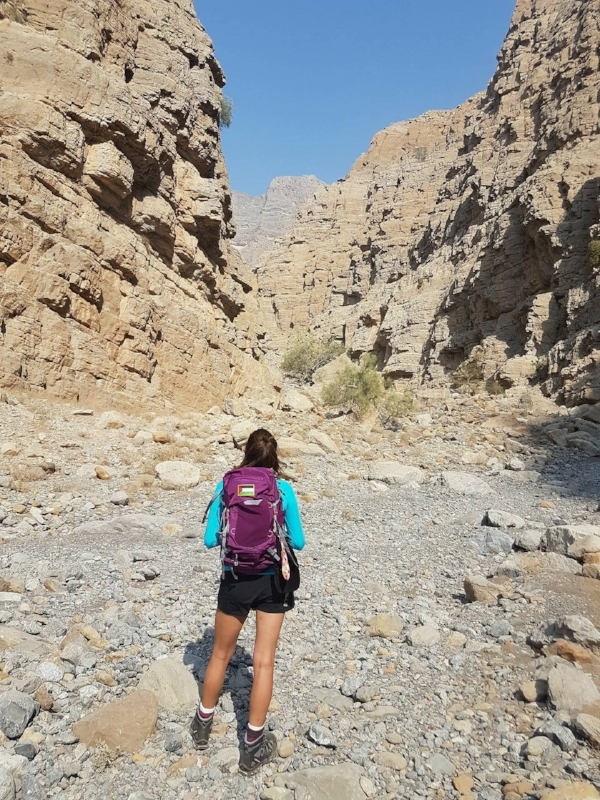 Beyond the requirement, Haneen sees this climb as a perfect opportunity to give back and raise awareness about a topic that is very close to her heart. When she learned about the UNRWA Community Mental Health Programme (CMHP), she says the decision to fundraise for it was a "no-brainer." She saw dedicating her campaign to this essential program as a way to mitigate some of the psychological impacts of war and occupation on Palestine refugee children. 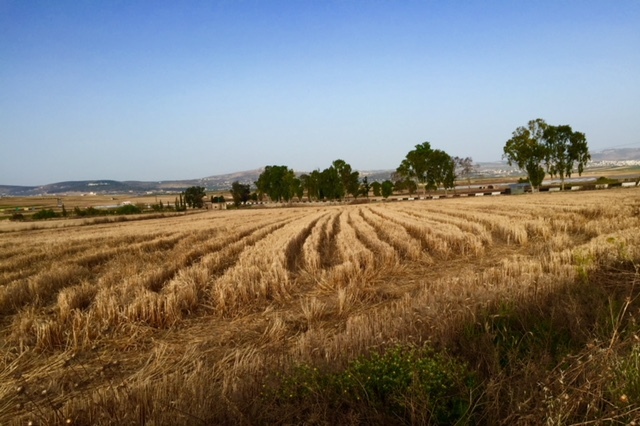 While teaching in Palestine, Haneen points to a single experience as “the turning point” in her professional and personal pursuits. In the summer of 2014, a young 16-year-old boy from Ramallah was shot in the back and killed by Israeli military in the West Bank. This was the same summer as the Israeli military assault on Gaza which lasted 50 days and killed more than 500 children. Haneen recognized that the loss of this young boy represented just one of many incidents of violence towards Palestinians and that violence has integrated itself into every aspect of the Palestinian experience. And this violence is one that has spanned decades, traumatizing generations upon generations of Palestinians, especially refugees, in a profound way. She sees education, which includes counseling, as an entry point into addressing some of this trauma faced by Palestine refugees, and deeply believes in the goals of UNRWA's CMHP in Gaza. She hopes that in climbing this mountain, she will also raise awareness and funds for a cause that spoke deeply to her as a Palestinian American educator. Ultimately, Haneen hopes to get her Ph.D. and further delve into this issue and aims to use her research to support children across the globe -- not just Palestine -- in dealing with severe conflict-related and induced trauma. "Always remember that your brain fueled by your education is the most powerful tool in the world. Continue to shoot for the stars, never lose hope, and know that people around the world love you, support you, and hear you." help haneen reach her goal! Maher fist bumps with former UN Secretary General Ban Ki-moon; typical day at the office. Born in Ramallah, Maher and his family are from a village called Muzeir'ah near Lydda. A jack of all trades, Maher has spent the past 30 years being a humanitarian working for the United Nations, three years running the NYC Marathon fundraising for UNRWA scholarships for women in Gaza and the West Bank, and a lifetime giving back to his community. His connections with UNRWA's work run deep, and he spent some time sharing with us how UNRWA's work and services has shaped him and his family and how he has continued to give back, never forgetting his roots, no matter how far away from Palestine he travels. His father worked for UNRWA and he along with his three brothers went to UNRWA schools from grades 1-9. While at the Ramallah Boys Preparatory School, he fondly recalls his favorite teacher, Abdul Aziz. He remembers sitting in his English class, excited by the prospect of learning a new language. After graduating, he then went on to study civil engineering at Birzeit University with a partial scholarship from UNRWA. His sister and younger brother also received higher education through UNRWA, and attended a two-year vocational school run by the Agency. In 1992, he left Ramallah when he was offered an international position with the United Nations Drugs Control Programme in Vienna. He confesses that surprisingly the biggest shock when he left Ramallah wasn't the food, culture, or customs, but rather, the freedom from foreign military occupation. Since his first stint abroad, Maher has lived and worked around the globe. He has held positions in Gaza, Jerusalem, Amman, Cairo, and New York, including a role as the Chief of the New York Liaison Office for UNRWA. When Maher isn't at the UN, he spends his time running through the streets of New York City. Maher uses running as not only away to burn off the stress of trying to solve international diplomatic problems, but also as a way to raise awareness and funds for various causes, including UNRWA. When asked why he fundraises for Palestine refugees, Maher says, "Gaza and UNRWA have played an important role in my life and in bringing me to where I am today. The images of suffering and pain in Gaza, and the heroic efforts of UNRWA staff to alleviate that suffering have prompted me to do something concrete to help out. There are immediate humanitarian needs and a great thirst for hope and compassion. With my modest effort, I hope to contribute a bit of hope and some resources to an Agency that I know can deliver effectively." In 2014, Nasser participated in the Women's Health "Run 10 Feed 10" and raised over $5,000 for UNRWA’s Gaza emergency appeal through UNRWA USA. Since 2015, Maher has also run the NYC Marathon to fundraise for education programming for women in the West Bank and Gaza. Maher states that he "never thought [he] would ever be able to run a marathon, let alone three. However, knowing that this would give one or more young women in Palestine an opportunity to attend university and change their lives has given [him] the energy and determination to do so." Maher will be running this Sunday November 5th, and we're excited to cheer him on! Tweet your support @MaherNasserUN.